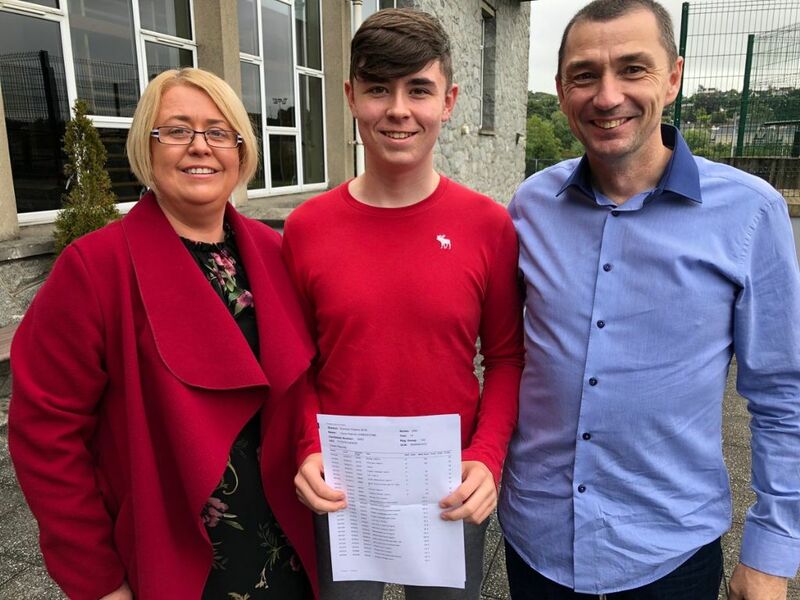 St. Colman’s College staff, students, parents and guardians are very proud of the excellent achievements of Year 12 Violet Hill students in their GCSE examinations. As a result of determination, hard work and commitment, excellent GCSE results have been achieved by individual students and the year group as a whole. The results obtained are a consequence of each student working and applying himself to the best of his ability and as a result, achieving his potential. With 94% of all grades obtained ranging from A* - C, 92% of all students achieving 7+ A* - C and 21 students obtaining 9 or more A*/ A grades, the Principal, Mr McKinney, congratulated the students and their teachers on achieving such wonderful success and thanked parents and guardians for all their support and encouragement. The College and students are looking forward with confidence and enthusiasm to building on these achievements with the commencement of the AS and A2 courses in September.